This is the tenth step on our journey introducing a path to cloud happiness, one that started four months ago and it's been a vast array of content to help you discover the joys of cloud development. 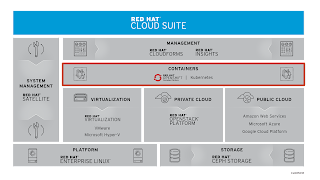 It's the pinnacle of your climb to the top where you find cloud happiness, having led you from the basics to the more advance solutions as you learn how to leverage development, containers, a container platform and more. 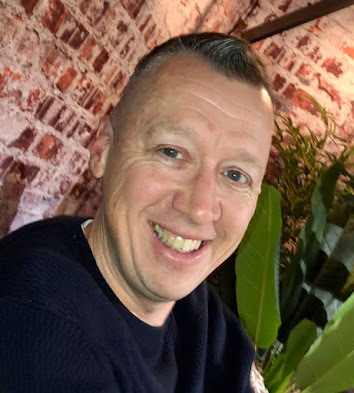 As previously discussed in the introduction, it's possible to find cloud happiness through a journey focused on the storyline of digital transformation and the need to deliver applications in to a cloud service. 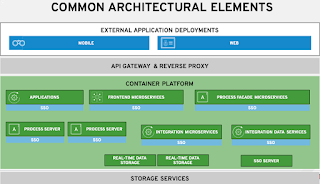 Application delivery and all it's moving parts such as containers, cloud, platform as a service (PaaS) and a digital journey requires some planning to get started. There's nothing like hands-on steps to quickly leverage real experiences as you prepare. 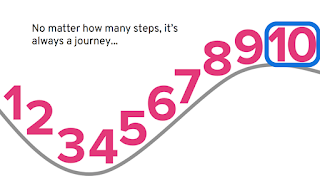 In earlier steps you covered how to get a cloud, the use of a service catalog, how to add cloud operations functionality, centralizing business logic, process improvement, the human aspect, a retail web shop, curing travel woes, and explored financial solutions, so what's next? In this final step you'll reach for the stars, deploying a six container solution and be given a full backing workshop that takes you through the solution and it's correct deployment step-by-step. The project showcases application development in the Cloud leveraging services, containers and cloud integration. Technologies like containers, Java, PHP, .NET, business rules, services, container platforms, integration, container integration and much more are presented for a hands-on experience. You can follow the instructions provided to get this up and running on your local machine with just 6GB of memory and the installation identifies any missing requirements while pointing you to where they can be found for your installation. The installation is in several parts, first installing your cloud as covered in Step 1 - Get a Cloud. 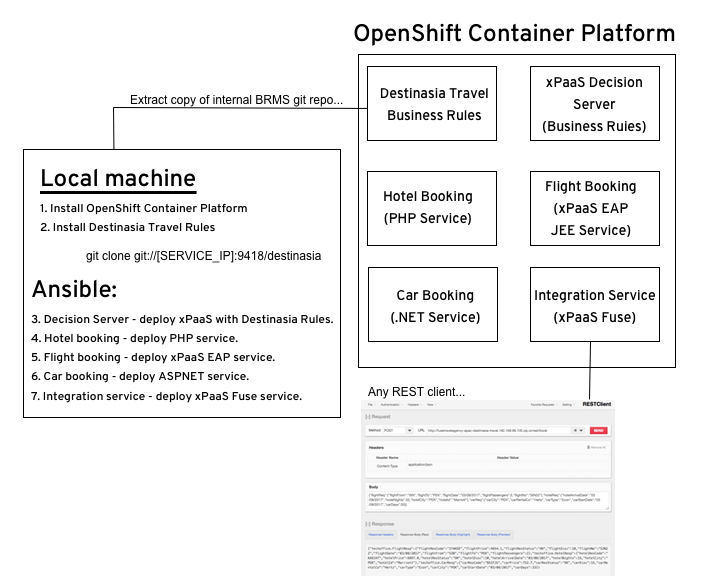 Second, you'll deploy a container with JBoss EAP and JBoss BRMS with a rules project for determining travel booking discounts. 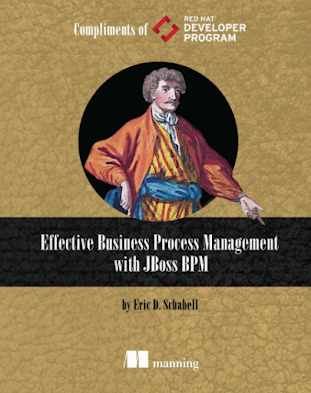 Download JBoss EAP & JBoss BRMS, add to installs directory (see installs/README). After that, you'll move on to installing four services using Ansible automation. 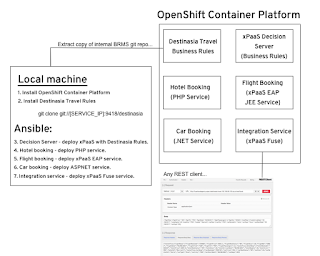 Once they are up and running it's the final deployment of the agile integration service to provide a single end-point for submitting travel bookings to this application. Once all of this has been successfully deployed, it's time to test the results by submitting a travel booking through a web browser RestAPI client. The process is described in the project readme. Not only is this experience outlined in the project, there's also a step-by-step hands-on workshop online that you can work through. This workshop has you taking on the role of lead developer of the Destinasia travel discount project to set up a development environment in the Cloud for container-based application services deployments. Once it's set up, you're shown how to validate the services using end-to-end testing. 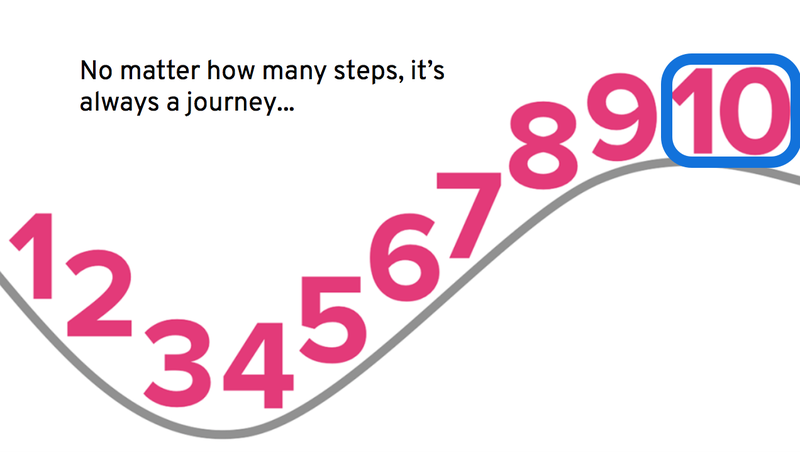 This completes our walk through the 10 Steps to Cloud Happiness. Are you ready to start tackling the various challenges of your very own application delivery in the cloud as part of your digital journey?